I bought my MacBook Pro in October 2018. Now, on both the left and the right side of the machine's backside (the bottom) both the ventilation slots show some kind of foil coming out. The foil is coming out of the vents exactly symmetrically and it's slowly getting worse. Now about 4cm of foil are visible on each side. I went to a premium reseller and they said they rarely see this and they said it might be the battery coming out which is unsettling. 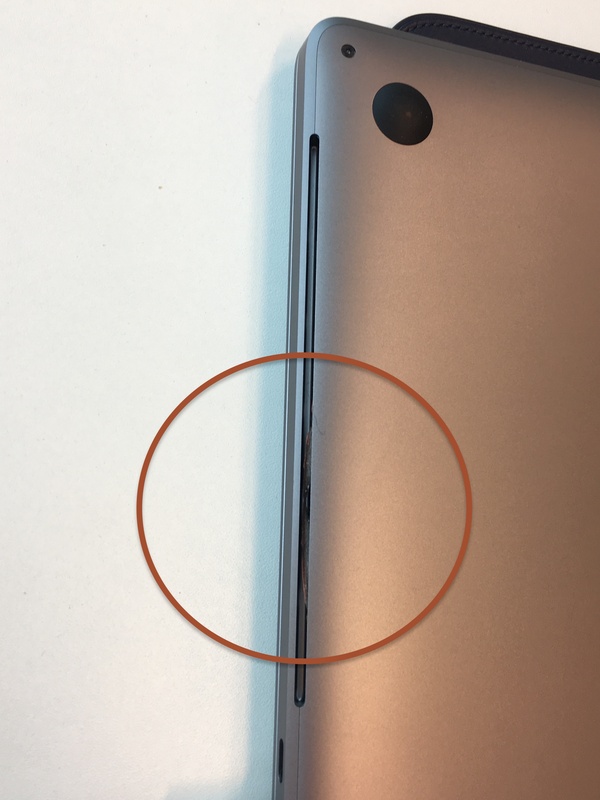 I do perform calculations for my university course so R or Python might run for a while but I don't think this would cause harm to the laptop to this extent. Browse other questions tagged macbook hardware battery . Is depleting batteries of MacBook Pro 2018 still a thing in 2018?